Alibaba opened to trading at the New York Stock Exchange, just a couple of hours ago, and the stock rocketed to $92.70, which is a 36% high from its IPO price. We have also listed the stock on our Stock Ticker above. The Chinese e-commerce giant, had earlier raised a staggering $21.8 Billion, making it the biggest IPO ever, in the history of Internet related companies. The company priced its shares at $68 each and at that level, the on-line market operator will have a market value of about $168 billion. This market value is more than that of Twitter, LinkedIn and eBay, combined together. The stock started trading, almost 3 hours after NYSE started trading, which is double the time it took Twitter to start trading. During the time the stock was in the process of getting shared, investors’ expectations for the opening price were climbing. 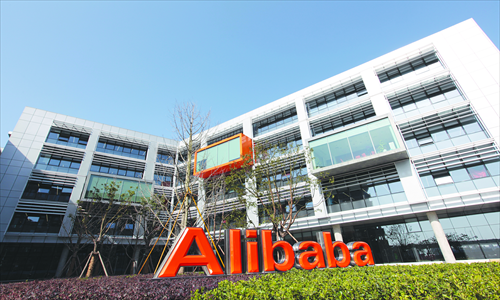 Alibaba’s IPO is a major sign of relief for Yahoo, which holds a large chunk of stake in the Chinese e-commerce giant.